Jungle Communications | Why Choose Us? 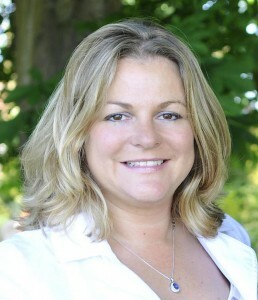 Jungle Communications was established over eleven years ago by Managing Director and founder, Kate Morfoot. Kate is the former Chair of the Chartered Institute of Public Relations (CIPR) and has many acclaimed award winning campaigns under her belt. We are a successful, creative boutique agency with a huge ‘little black book’ of contacts. Today our friendly, down to earth and creative team, regularly services clients across consumer, food & travel, lifestyle and the corporate business sectors. We take on both projects and retained clients. It has always been our aim to be creative and refreshing. Our approach to business is to add value and we regularly see ourselves as an extension of our client’s team. Our core philosophy is to always be as successful as our last piece of work! We are passionate about our business and equally so about our clients. We regularly go above and beyond for clients with the best possible service. Check out some of our awards to prove it! "Jungle Communications is an excellent all-round agency who really cares about their staff and invests in those who make up their agency by providing training and development. This small team consistently demonstrates the PR power of any larger business and the judges were particularly impressed with Jungle's pro bono commitments." "A delightful campaign with an abundance of creative flair. This entry stood out head and shoulders above others in the category for its innovative, light-hearted approach to completely rebranding and re-introducing a business back into its community. All platforms were utilised to maximum potential, producing excellent results in a very short period of time. Engagement with press, to complement advertising, online and marketing activity proved essential and created a successful launch event which generated significant media coverage and proved successful for the business bottom line, as clearly demonstrated in the results." "The judges agreed that a lot of thought, creativity and effort was given free-of-charge from the entrant to their client. No opportunity was missed - there was creativity at every corner which captured media and public attention, generating amazing results across every platform. A clear passion was demonstrated from the team, and even potential crises were turned into positive media stories, which worked to the client's advantage. Effective and crowd-pleasing guerrilla activity was implemented and brought the entire story to life, not forgetting the importance of the organisations that benefitted from the campaign." "Jungle Communications had a clear mission statement, which the team evidently buys into. In addition, they have cleverly appointed six ambassadors, who are a mixture of well-connected business associates and experts in their fields, to regularly recommend their services." "Jungle Communications presented a very clear mission with objectives that knit together well. Impressive client retention and growth in both activity and staffing is highly commendable in the current climate." "This consultancy delivered impressive financial performance and strong innovation which has enabled them to grow during a tough economic climate. Jungle has outstanding client retention and put on some great new business wins. Its work is creative and people development impressive. This business has real character and a focused approach to growth." "The tactics carried out in this campaign impressed the judges, with every angle being considered to achieve results. It is clear from the entry that Jungle worked closely with its client to develop a range of collateral to appeal to both customers, trade and consumer press. This integrated approach achieved excellent media response, public following and results that were closely linked to the campaign objectives. Overall it demonstrated that the campaign was responsible for a strong bottom line impact for Woodforde's Norfolk Ales and an excellent contribution to the business." "The judges liked the uncomplicated entry, and felt the evaluation and analysis of performance was well expressed. The results information helped to give judges a rounded view of a highly-active consultancy. The judges also liked the listing of the outstanding achievements, which Jungle included in the entry, and really felt the passion and pride the team exudes."